Could you be the lucky winner? Get ready for a summer road trip! Home » Blog » Auto Insurance » Could you be the lucky winner? Get ready for a summer road trip! This entry was posted in Auto Insurance, Blog, General, Travel Insurance on 07/27/2015 by admin. Summer is officially here, and nothing spells summer better than a road trip – or just a little fun in the sun. To celebrate, Freeway Insurance will be giving away a California Explorer Annual Day Use Pass, which gives a lucky winner a year’s worth of free day parking privileges at scores of California State Parks, including the stunning beaches from San Diego, Orange County, and Los Angeles County all the way up to Northern California. So, whether you’re in NorCal or SoCal, there’s something for everyone. To enter to win, click here! Or read below and start getting excited about your next adventure. 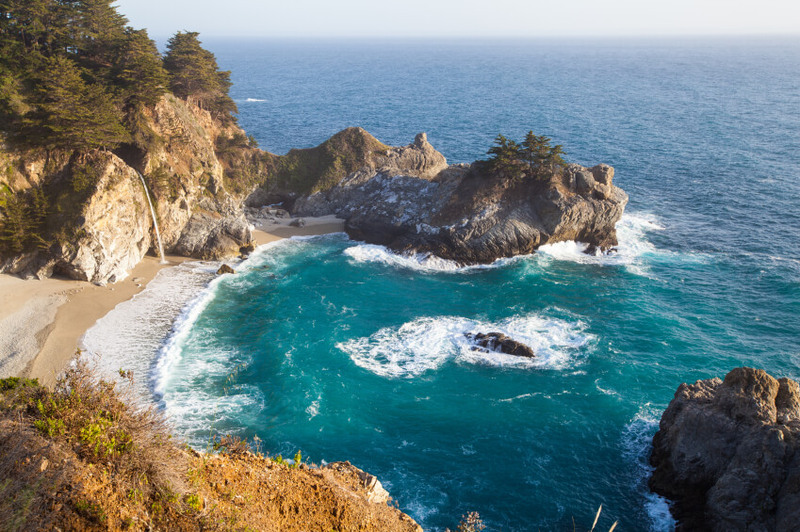 Some of our favorite California State Parks. . .
One of the world’s most unforgettable and breathtaking stretches of coastline, the roughly 90-mile-long drive consists of massive redwood and fog-trimmed waterfront between Hearst Castle and Carmel-Monterey. Nestled along scenic Highway One, the bluffs, sea, and sky instantly become part of the canvas as art and nature merge on this rugged coast to form a spectacular setting. 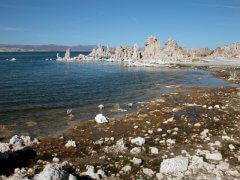 On the eastern side of the tall Sierras, this high-desert preserve of a one-million-year-old lake is the salty remnant of an ancient inland sea. 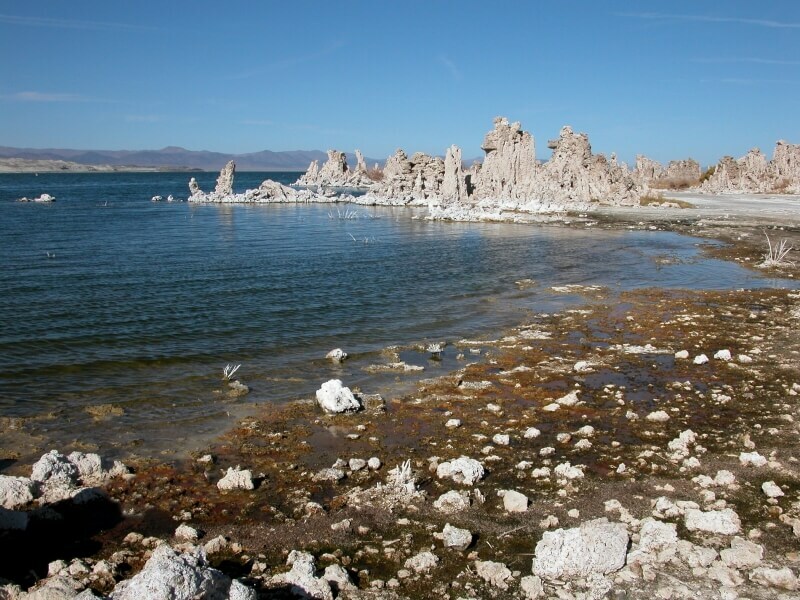 With its remarkable formations of cinder cones, deep blue water that reflects the snow-capped Sierra Nevada Mountains, along with nearby volcanoes, ghost towns and trout-filled streams, this area offers plenty of activities for everyone. 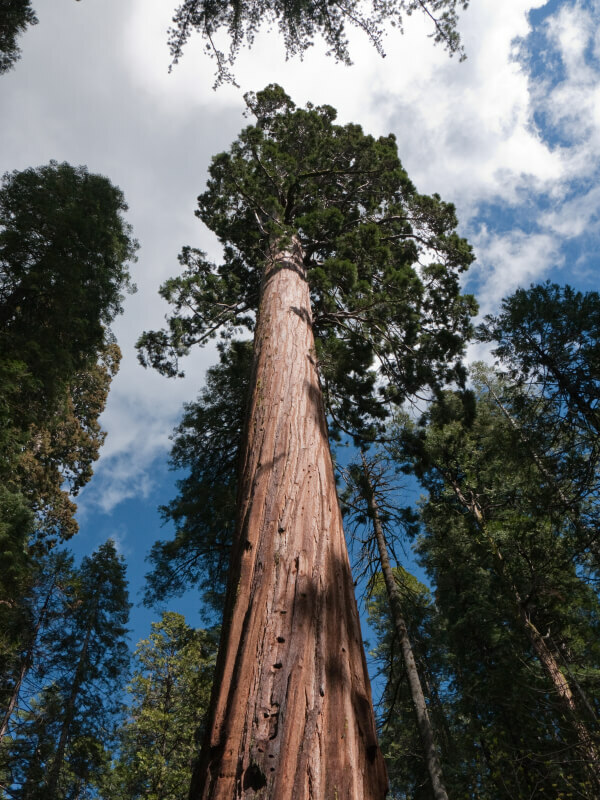 Discover the peaceful groves of giant sequoias at this beautiful California State Park. Established in 1931 to preserve a stunning stand of giant sequoias, the park offers one of the easiest places to see these majestic and towering trees. Start walking and enjoy some of the best Mother Nature has to offer. Simply follow trails to North Grove, the most visited part of this 6,400 acre park, as well as quieter South Grove. 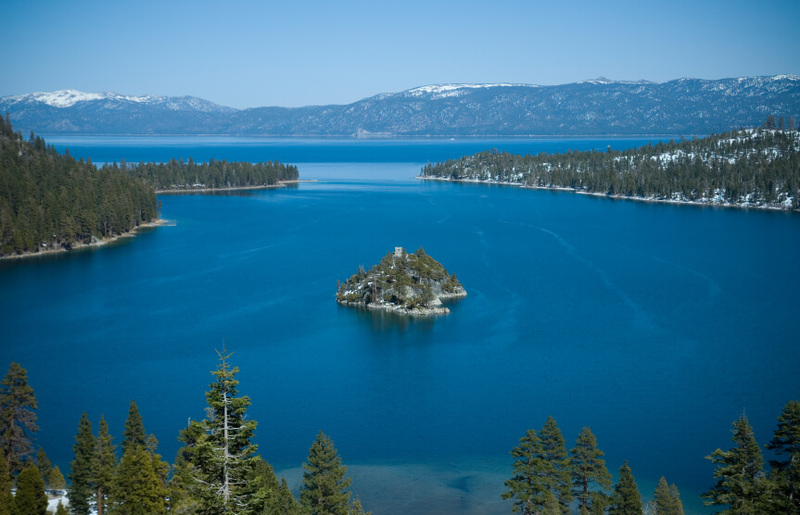 Back in 1969, Emerald Bay was designated a National Natural Landmark due to its brilliant panorama of mountain-building processes and glacier carved granite. 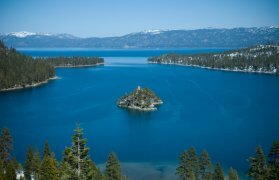 The natural beauty, geology and history of this unique island combine to make it one of the highlights of any visit to the Lake Tahoe area. Emerald Bay received the designation of an underwater state park in 1994. It is the resting place for many boats, launches and barges that were used on the lake before the turn of the century, during the heyday of Emerald Bay Resort. Situated almost exactly halfway between Los Angeles and San Francisco is Pismo Beach, a wonderful central California getaway. 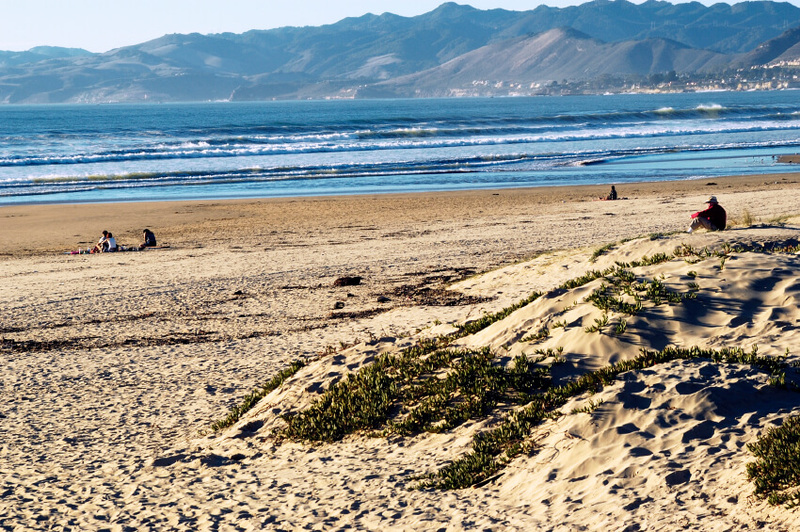 Pismo Beach State Park offers an array of activities including hiking, swimming, surf fishing, and… you can even dig for the famous Pismo clam! With over 23 miles of soft sand, tree-lined dunes and a great diversity of birds, this beach is ideal for carefree beach walks, hikes, soaking up the sun, or bird watching. Among coastal wilderness of pine forests, sandstone canyons, hiking trails and bluffs overlooking the sea is Torrey Pines State Beach. 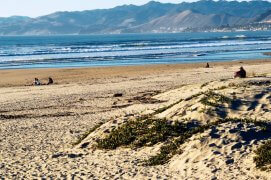 One of California’s most popular state beaches, you can also enjoy great surf and ocean swimming. On Saturdays and Sundays guided nature tours are offered. Dolphins and whales can occasionally be spotted from the trails running along the ocean. 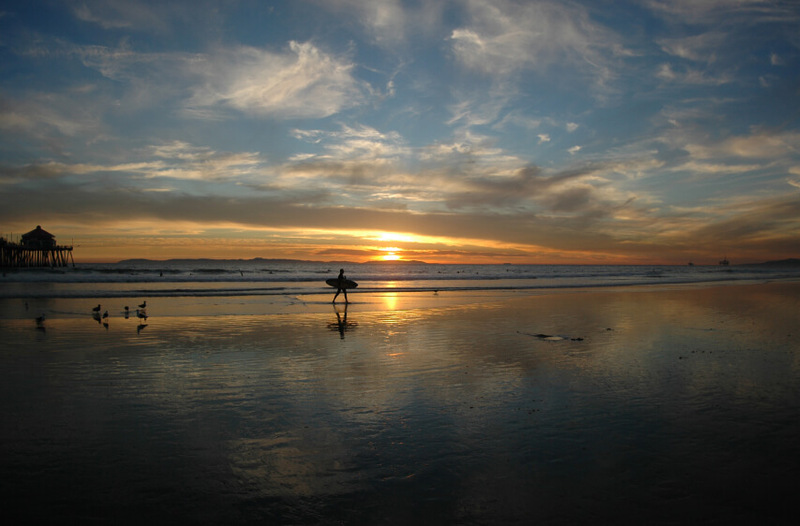 Just south of Sunset Beach in Orange County you can find Bolsa Chica State Beach – a perfect place for family outings, surfing, sunbathing, playing volleyball, enjoying water sports, or just watching the sun set. 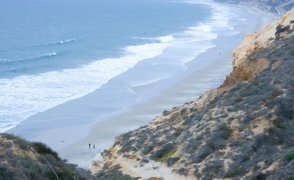 At new and full moons during the summer, visitors can enjoy bare-handed fishing for California grunion, a species that only spawns on sandy southern California beaches. Under state law, these fish may be caught by hand with a fishing permit. Bird watching is also popular at this state beach. Across Pacific Coast Highway is the Bolsa Chica Ecological Reserve, a 1,300 acre coastal estuary. Have we tempted you yet? It’s not too late to take advantage of all that summer and the beautiful state of California has to offer. Click here to enter and you could be the happy winner of the California Explorer Annual Day Use Pass!